Food-Themed Piñatas: Pure Whackable Genius By Whack Piñateria! / Hey, EEP! 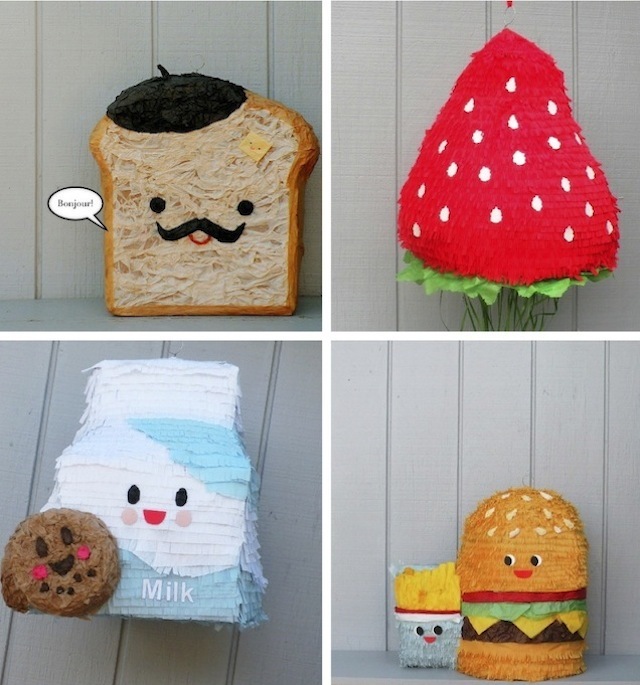 Food-Themed Piñatas: Pure Whackable Genius By Whack Piñateria! I was blissfully unaware of the Southern California–based handmade piñatas shop, Whack Piñateria, until today! How is that possible!? Well great. Now I'm in a pickle: Obviously we're going to need a food-themed piñatas at every birthday and family function now—but they're too darn cute to smash (I'm talking to you, French Toast Piñata)!Aracely and her husband have made over 500 piñatas since they started their business in 2009. Browse their selection online or contact Aracely to design a custom piñata of your own! Most go for $30 to $50 dollars, just be sure to give them enough lead-time (they take 2 to 3 weeks to make). Which of these yummy piñatas would you want at your party?